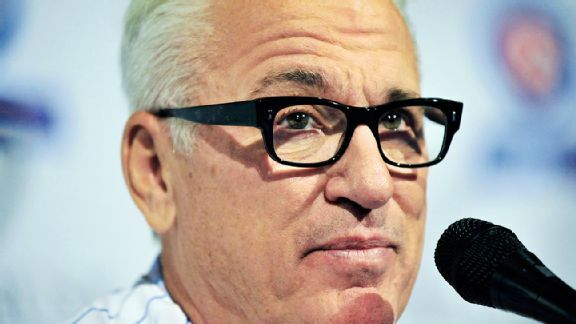 Lakewood (California) High has a former player in the World Series for the third straight year. Mets catcher Travis d'Arnaud hopes to make it three straight championships, too. If you thought that the 2014 season wasn't packed with strange but true feats on and off the diamond, Jayson Stark can explain where you're wrong, chapter and verse. 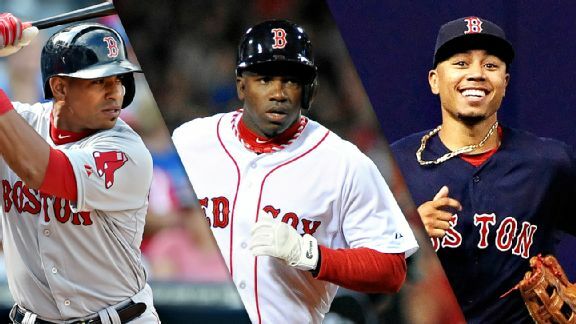 BOSTON -- How unsettled was the Boston Red Sox outfield last season? Manager John Farrell used nine left fielders, five center fielders and 10 right fielders. 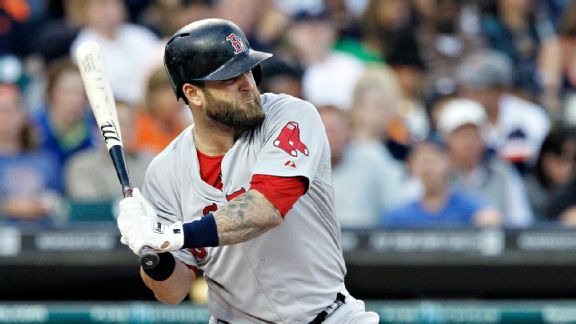 BOSTON -- Red Sox first baseman Mike Napoli's season was sidetracked by a string of injuries that limited him to 119 games (109 at 1B) in 2014, which caused a commensurate drop in his run production for the club. 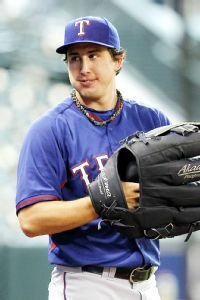 The Texas Rangers activated left-handed starter Derek Holland from the 60-day disabled list on Saturday afternoon. Holland has missed all of the season recovering from left knee surgery. HOUSTON -- It was one of those situations when Texas Rangers manager Ron Washington needed to see a few things from his pitchers.He wanted consistency from 25-year-old starter Nick Tepesch and to check out how 24-year-old reliever Roman Mendez dealt with some adversity. ARLINGTON, Texas -- The Kansas City Royals do a little bit of everything well from stealing bases to their bullpen work, but hitting home runs is just a problem. The Texas Rangers begin a three-game set with the Royals tonight at Globe Life Park. It's a busy weekend with the Rangers honoring former team president Tom Schieffer on Saturday. ARLINGTON, Texas -- Wednesday night started off badly with the news that Texas Rangers staff ace Yu Darvish was moved to the 15-day disabled list with right-elbow inflammation. ARLINGTON, Texas -- In another step in his recovery, projected starting second baseman Jurickson Profar started fielding grounders at Globe Life Park on Wednesday afternoon before his Texas Rangers faced the Tampa Bay Rays.